In response to the humanitarian crisis at the Tijuana border where more than 5,000 central American migrants are in dire need of shelter, clothing, food and legal representation, a coalition including representatives from Curacao Foundation, El Rescate and Honduran United of Los Angeles will assist at the Salesian Project and the El Barretal Shelter in Tijuana, on December 8 from 8 a.m. to 1 p.m. with the purpose of providing legal counseling, legal workshops and giving children, women and adolescents clothing, food and humanitarian assistance. In addition, the Curacao Foundation, El Rescate and Tu Visión Foundation will collectively donate $10,000 and raise additional funds from December 10, 2018 ending on January 26, 2019 to help these thousands of migrants through El Rescate Facebook page and GoFundMe page. "This is a humanitarian crisis. These are people who are fleeing violence and persecution in their home countries and they need our help to navigate the complicated legal process. 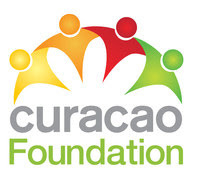 This is yet another effort that showcases Curacaos' commitment to the community," Curacao Foundation Director Sophia Cortez said. Tu Vision Foundation's mission it to assist, uplift, and empower the Spanish speaking world community through crucial rebuilding projects, training, legal assistance, and reuniting families in need.